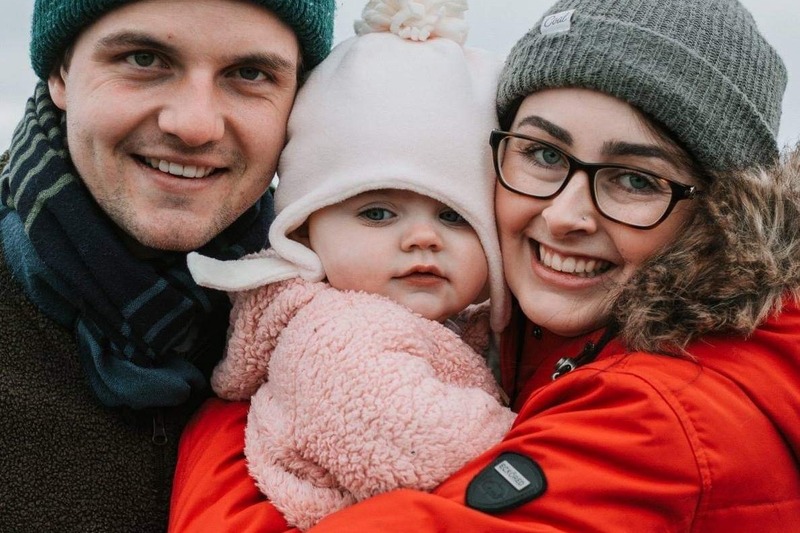 A GoFundMe campaign has been launched for a Langford family whose entire world flipped upside down after their 11-month-old daughter suffered a serious head injury at a daycare on Friday. The family is currently in the BC Children’s Hospital neurological care centre in Vancouver, and funds raised in the campaign will go towards the costs of staying in the expensive metropolis and taking time off work as the young girl recovers. On Friday, Kate Haywood left to pick up her daughter, Sophie, from her licensed daycare in Langford. When Kate arrived, she told Victoria Buzz that staff were cleaning vomit from Sophie and informed her that her daughter had taken a fall and hit her head on a table. 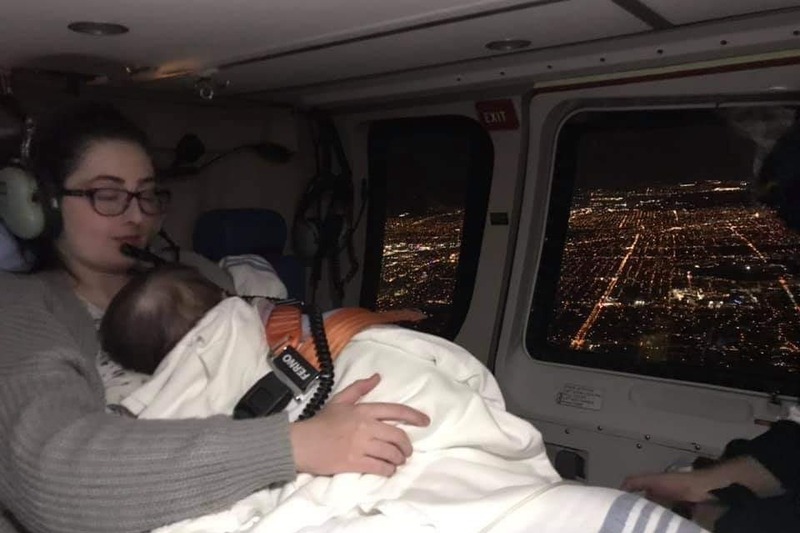 The injury has been shocking and distressing for the parents, Kate and Thomas, especially transitioning from looking to check in on Sophie at urgent care in Langford to being issued a helicopter for treatment in Vancouver. “Is she going to make it?” Kate asked a doctor at Victoria General on Friday. “I don’t know,” was their response. On Friday, VGH’s pediatric trauma team performed a variety of tests on Sophie, including a CT scan of her head. The CT scan revealed a possible skull fracture and a frontal lobe subdural hemorrhage. If pressure in her brain builds up from internal bleeding, she may require neurosurgery, something Kate and Thomas hope can be avoided. After the pediatric trauma team assessed Sophie, they decided to transfer her to BC Children’s Hospital to receive the best possible and specialized care. 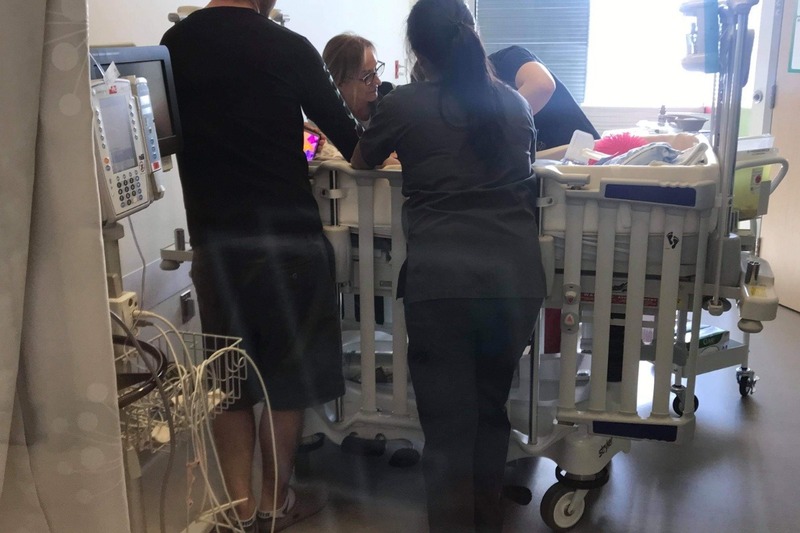 In Vancouver, the pediatric neurological team discovered that Sophie had sustained hemorrhaging at the back of her eyes, and that there is a chance that surgery may still be required. Besides the stress of supporting Sophie through her recovery, the Haywood family has been managing multiple investigations launched by the RCMP, social services, and the Ministry of Children & Family Development. The investigations include a review of the daycare, which reported inconsistent injuries to what was found, and the parents themselves. Kate said that she understands it is regular procedure for police to question the family when it comes to the welfare of children, but that the process is still emotionally difficult. “It’s hard to be looked at as potentially hurting your own child,” she said. Meanwhile, support from the island has been pouring in, including Facebook groups that have offered to cook the family meals and the GoFundMe campaign which has raised over $3,000 in less than 24 hours. You can find the GoFundMe campaign, entitled Baby Sophie’s recovery, online here. At the time of publication, the campaign has raised $3,234 in just over 20 hours.